To/Die/For ---------------------- Lead vocals: Jape Perätalo Guitar: Antza Talala Drums: Santtu Lonka Bass: Josey Strandman Guitar: Jope Koto ------------------------------------------------ The story of To/Die/For began in the early nineties when three guys from Kouvola, Finland formed a rock band called Mary-Ann. During its existence Mary-Ann released two self-financed CDs, the latter of which, "Deeper Sin", included songs that would eventually end up on the albums of To/Die/For. In 1999 Spinefarm Records checked the band live, and started negotiations to get the band signed. After so many years of going unsigned, it didn't take long for the band to sign their names. Two things were to change though: the name and the style. The band's rock-attitude took a vampiric turn, giving the music a gothier edge, and the rock-band Mary-Ann became the goth-group To/Die/For. The band's debut All Eternity combined melodic goth rock to Stiv Bators-esque vocals, low-tuned & heavy guitars and top-notch drumming. The band's first real hit though was not to be found from All Eternity's first version at all. While recording, To/Die/For had a bizarre idea of doing a cover version of Sandra's 80s hit single "In the Heat of the Night". After the release of All Eternity in late 1999 the band gave Spinefarm the cover song, and this recording spawned the band their first gold record, and added to their success abroad. In Autumn 2000 To/Die/For successfully toured Europe with Dark Tranquillity, Sentenced and In Flames, and afterwards prepared to boost their career with another album. Their second full-length album Epilogue was released on the 7th of May 2001, after being delayed terribly due to the most annoying and disastrous joke ever: an endless musical loop placed onto the end of the album. The first single released from the album was "Hollow Heart", which proved to be a hit as a single mmediately hitting the top of the Finnish single-charts. 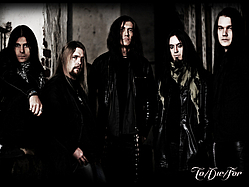 After the release of Epilogue, the band toured Finland with Nightwish, and Europe with Lacrimosa. After these shows, the band took a breather and wrote new material for their third album. Jaded presented To/Die/For at their maturest. It seemed that the dreaded third album that has seen many a band on the verge of breakdown, proved to be To/Die/For's finest work. But luck was to change after Jaded's release in 2003, as the insides of the band were completely torn apart. Singer Jape quit To/Die/For and founded a new band, Tiaga. While Tiaga was taking its first steps, the remaining To/Die/For members searched for a new singer to replace Jape. When Jape brought Tiaga's first demo to the Spinefarm office, the Spine-crew introduced a sneaky idea to him instead: shouldn't Jape register the band name To/Die/For to himself first? Knowing that doing such a thing would result in trouble and affect the relations between him and the remaining members of To/Die/For gravely, Jape still decided to do as suggested. Tiaga became To/Die/For and headed for the studio to record To/Die/For's fourth album. With new bandmembers surrounding him, Jape purged all those bad things of his life onto the songs on TDF's fourth album, bearing the title IV. To/Die/For's latest album (fifth. ),WOUNDS WIDE OPEN,(released october 2006) the best To/Die/For album yet,is like expected TDF to be! something old and something new, with shades of blue and staying true to the T/D/F tradition, a cover song, this time a remake of Ozzy Osbourne’s “(I Just) Want You”! Many journalists around the world are started to call TO/DIE/FOR as a one of the pioneers of finnish gothic-rock style! 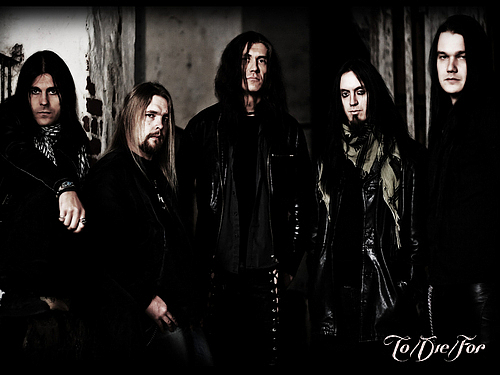 And that´s what they are!TDF will surely stay on the dark road of Finnish gothic rock/metal!..and the hassle will go on! At the moment TO/DIE/FOR guys are writing new material and searching for a new label.Contract with spinefarm records expired after Fifth album. Subscribe to To Die For RSS Feed to get latest lyrics and news updates. What do you think about To Die For? Let us know in the comments below!